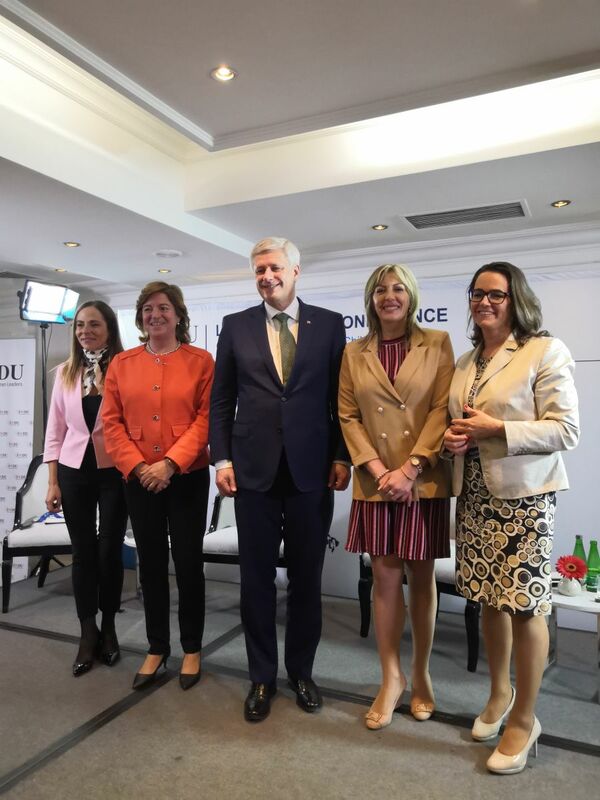 Within the Conference on Latin America, Minister of European Integration Jadranka Joksimović has participated at the panel titled ‘Women create policy – what makes the difference’ together with Chilean Minister of Women and Gender Equality Isabel Plá and Hungarian Minister of State for Family, Youth and International Affairs Katalin Novák. In her speech, the Minister has underlined that the Government of the Republic of Serbia, led by the ruling Serbian Progressive Party, places special focus on improving the overall socio-economic position of women and gender equality – as the principle of equal opportunities and development policy, and sustainable development goals, adding that it is committed to reducing and eradicating any type of gender discrimination, violence and misogyny. In that sense, what has also been commended is Serbia’s progress in achieving gender equality, which has put it at the 22nd place among European countries according to the Gender Equality Index. The panel participants have noted that Serbia is one of the few countries where women hold the highest public offices, which is not the case in many old developed democracies. They have further noted that Serbia has thus shown that it is a society that promotes equality, responsibility and substantive improvement of development potentials of all citizens, both men and women.